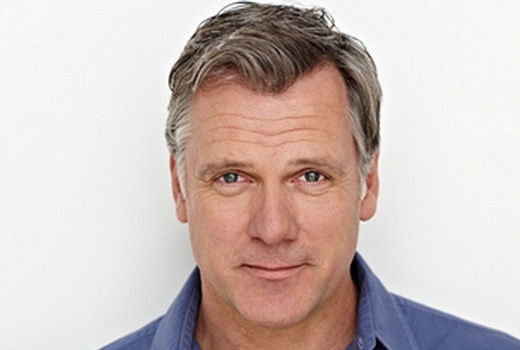 Filming has commenced on Seven’s new dramedy 800 Words, starring Erik Thomson. The 8 hour series is a co-production with New Zealand’s South Pacific Pictures with a cast comprised of both Kiwi and Australian actors set in the fictional town of Weld. Thomson plays recently widowed, George Turner, who quits his job as a popular 800 word columnist for a top selling Sydney newspaper. Over the internet he buys a house on an impulse in a remote New Zealand seaside town. He then has to break the news to his two teenage kids who just lost their mum, and now face an even more uncertain future. But the colourful and inquisitive locals ensure Turner’s dream of a fresh start does not go to plan. Playing Thomson’s teenage children Shay and Arlo are Melina Vidler (The Arrangement, Mako: Island of Secrets) and Benson Jack Anthony (Underbelly Razor, Blood Brothers, Legend of the Seeker). Rick Donald (Friends with Better Lives, The Doctor Blake Mysteries) plays George’s soon to be best mate Woody. Bridie Carter (McLeod’s Daughters) plays Jan, editor of the newspaper George writes for, and Emma Leonard (Home & Away) is local teacher, Tracey. The series is co-created by James Griffin (Outrageous Fortune, The Almighty Johnsons, Westside) and Maxine Fleming (Being Eve). Executive producers are Julie McGauran, Kelly Martin and Chris Bailey with directing by Pino Amenta (Wentworth, Winners & Losers, Packed to the Rafters) and Mike Smith (Siege, The Brokenwood Mysteries, Underbelly: Lang of the Long Green Cloud). Since a co creator is from Outrageous Fortune hope it will be entertaining! Love the negative comments. So many shows are dead in the water before they are even made! It will be different to Rafters as he is a widow. Different to Seachange as it is part Oz, part Kiwi! Support new Aussie dramas or enjoy Reality garbage for eternity! Totally agree….bit silly dissecting and putting labels on a show…when it is not even made yet…let alone had a viewing…..
Hope we get new Escape soon, but these current 2011 ones I haven’t seen! How many times have I seen this story told before? No thanks. I hope the makers of ‘Seachange’ are getting royalties. I like Erik and there is probably a market for another Rafters type drama. Looking forward to seeing this on the screen. I do hope it’s a little more intelligent than some of 7’s other dramas.